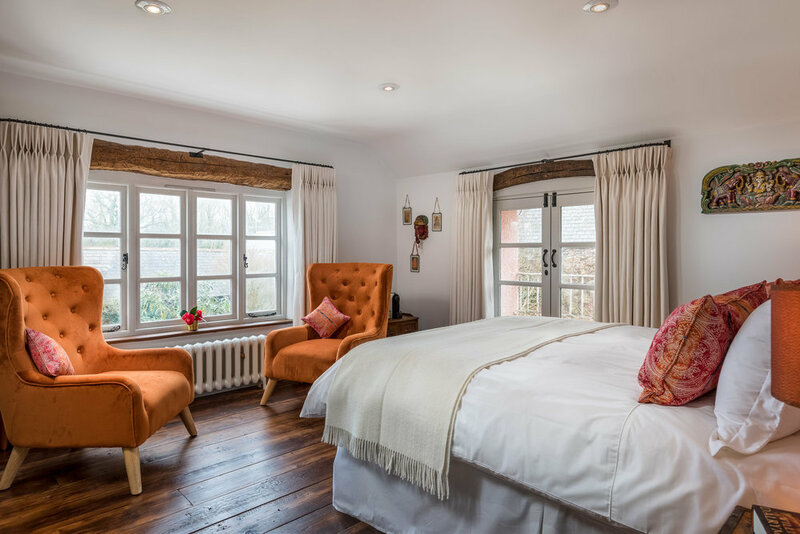 Pondicherry is a light and sunny room which features a sumptuous king-sized bed, Egyptian cotton sheets, goose feather bedding, deep armchairs and a gorgeous rainforest shower in the en-suite bathroom. Warm oranges complement its southerly aspect with splashes of pink and cream echoing the Indian elements in the room. You'll find carvings made by South Indian artisans, antiques and tea chests which combine to make this an warm and cosy space. Pondicherry, now renamed Puducherry, is a beautiful old French colonial town in South India, a nod to Jeeva's roots. 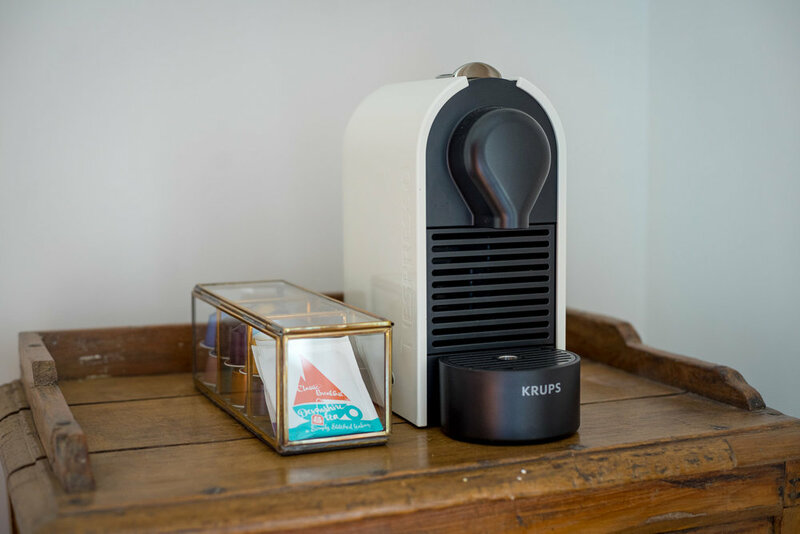 The room features free superfast WiFi, Nespresso machine, Roberts Radio, kettle with selection of teas and complimentary, all-natural Bramley toiletries. Please note there is a minimum two-night stay at weekends. Sorry we are unable to accept children under 14 or pets.